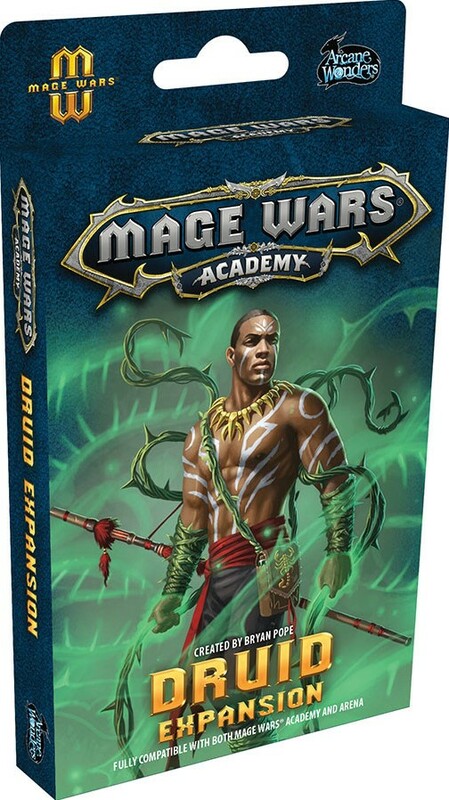 Mage Wars Academy is a fast-paced strategy card game of magical combat! In this expansion set, play as a verdant Druid whose skillyfully tended plants and carefully crafted potions show that the natural way is best! Game play is quick and exciting, with tough tactical decisions and devious surprises every round! Players can customize their spellbook, with exciting spells from this and other Mage Wars® Academy products. Summon mighty plants and swarms of insects, brew potent potions, and release the strength of nature!